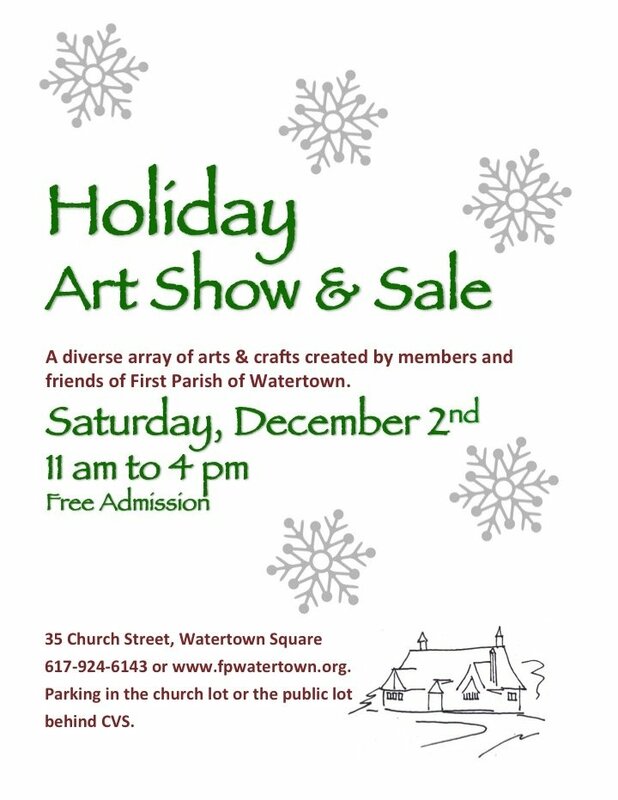 First Parish of Watertown is hosting their Annual Holiday Art Show & Sale on Saturday, December 2, 2017, in the sanctuary from 11 am to 4 pm. Free Admission. Parking in church lot or in the public lot behind CVS. First Parish of Watertown is fully accessible.